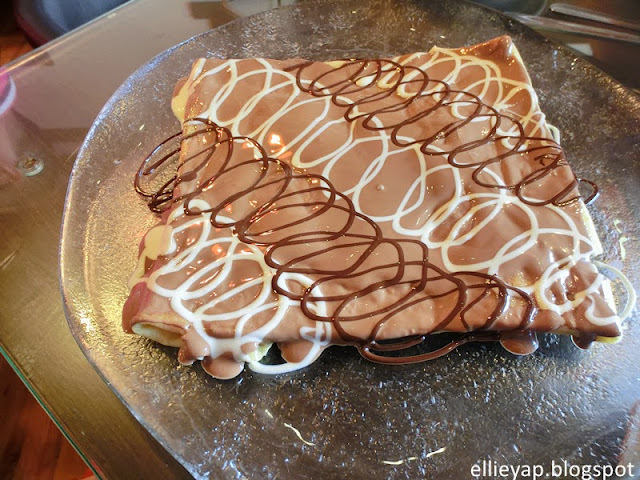 If you are a chocolate lover, I bet you to read this post. 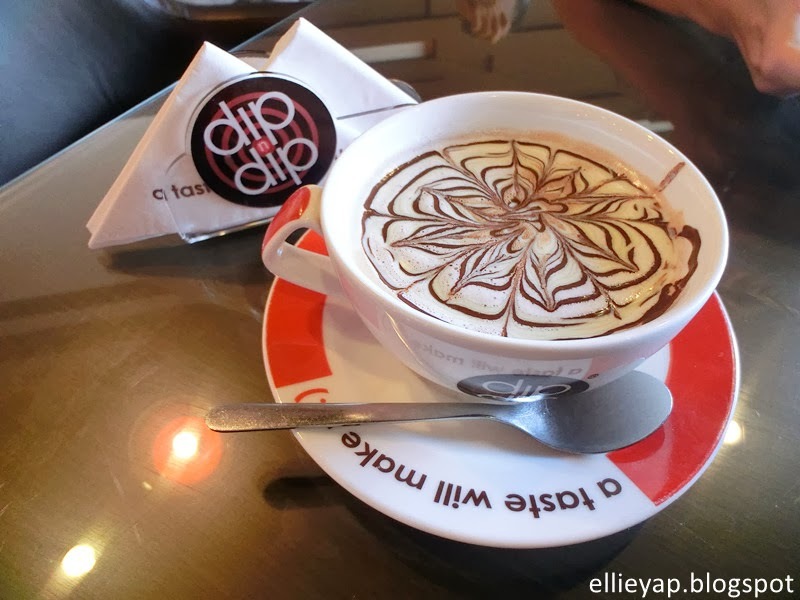 Because everything is chocolicious here. 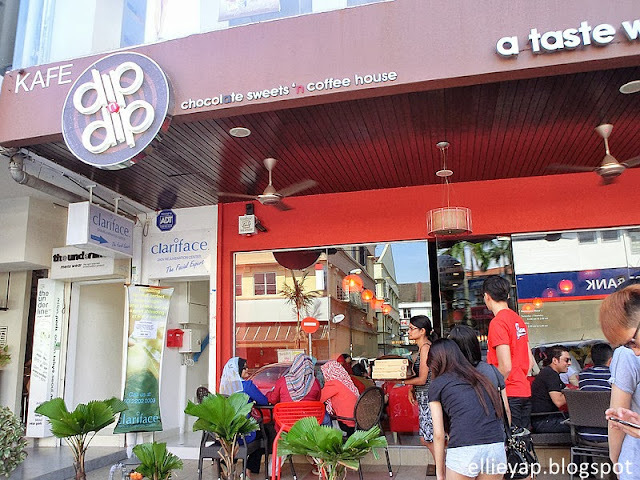 I took about an hour to reach Bangsar and then walking route around 15 minutes to look for Dip n Dip. OMG, it's quite hard to look for it as I'm not that familiar with Bangsar. 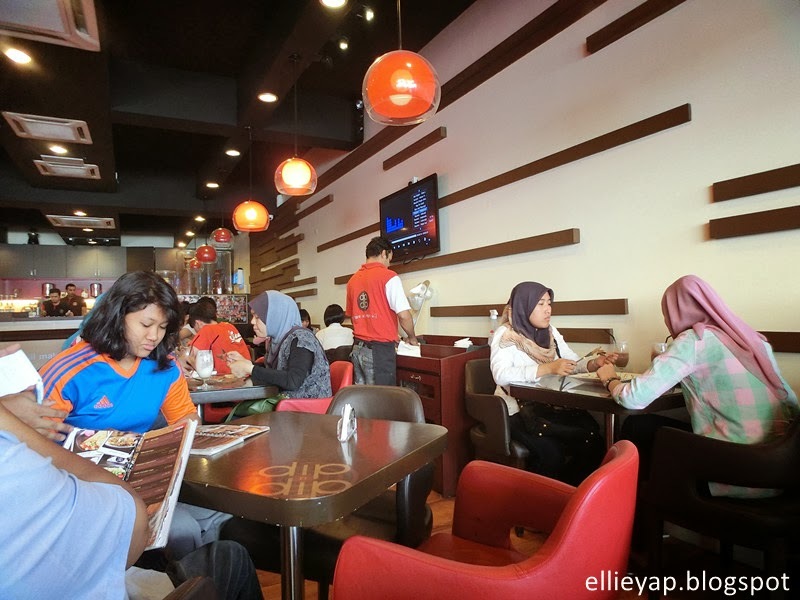 Tips: Located opposite Affin Bank and at the same row of Hong Leong Bank. 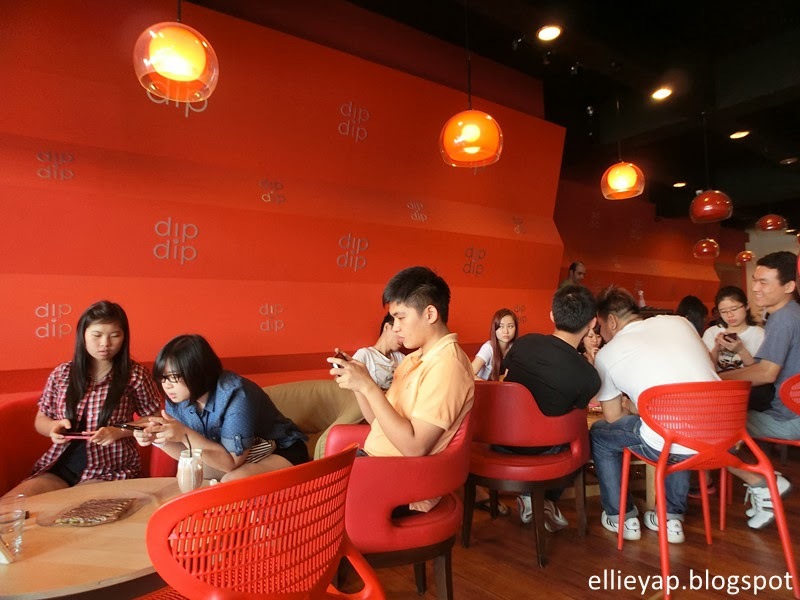 When we reached Dip n Dip, again to wait because there's lotsa people queued at the outside. All the tables were fully seated. The decoration of the shop, which is quite striking in red. Though it's kinda small but I don't feel squeezy at all. Quite comfy. Here's some food that we ordered. Browsing through the food menu, they are all kinda pricey meh. Personally I don't really fancy this. It's way too sweet and the crepe is too soft. Feeling greasy. 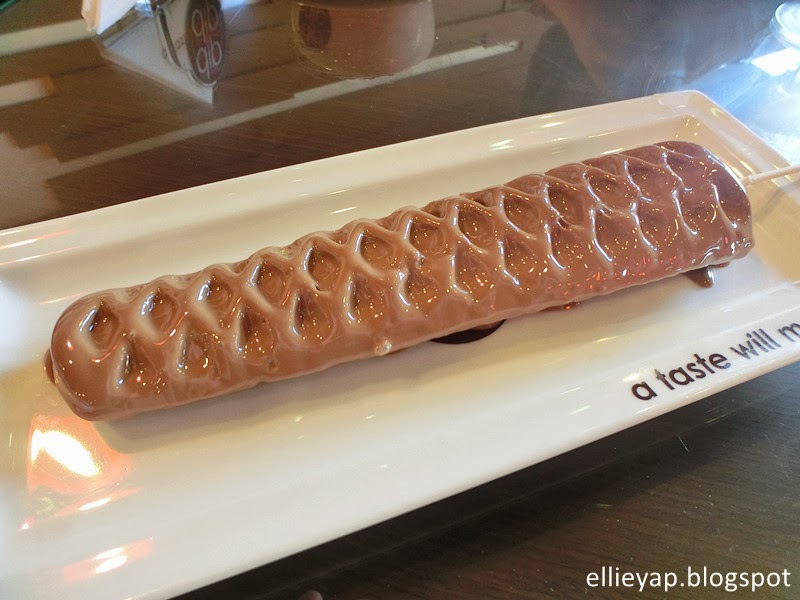 Waffle stick which made of waffle, topped with chocolate. Rm10. It's better to share instead of eating alone, the waffle is quite crunchy, but the chocolate topping is still too sweet. LOL. A must try Brownies. RM 11. 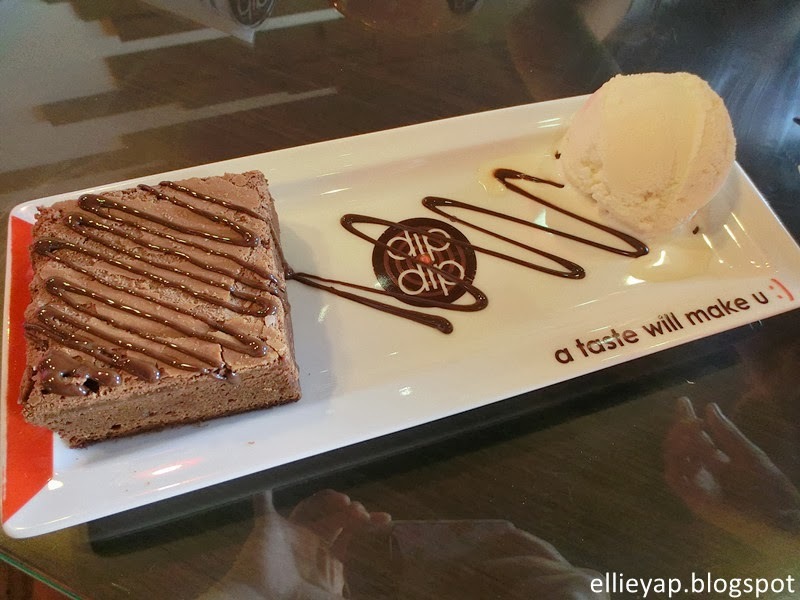 Heavy brownies served with ice cream and topped with their signature chocolate. This is delicate as the brownies isn't too soft neither hard, topped with their signature chocolate, it's just nice. Address: Dip n Dip, Jalan Telawi 3, Bangsar. P/s: Not to order to much , because you will definitely feel greasy. Sharing is caring. My brother and I got sore throat after this serving.